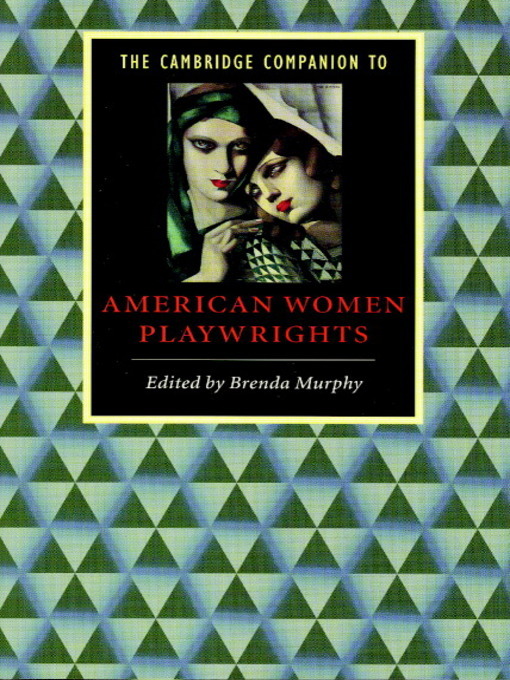 This volume addresses the work of women playwrights throughout the history of the American theatre, from the early pioneers to contemporary feminists. Each chapter introduces the reader to the work of one or more playwrights and to a way of thinking about plays. Together they cover significant writers such as Rachel Crothers, Susan Glaspell, Lillian Hellman, Sophie Treadwell, Lorraine Hansberry, Alice Childress, Megan Terry, Ntozake Shange, Adrienne Kennedy, Wendy Wasserstein, Marsha Norman, Beth Henley and Maria Irene Fornes. Playwrights are discussed in the context of topics such as early comedy and melodrama, feminism and realism, the Harlem Renaissance, the feminist resurgence of the 1970s and feminist dramatic theory. A detailed chronology and illustrations enhance the volume, which also includes bibliographical essays on recent criticism and on African-American women playwrights before 1930.